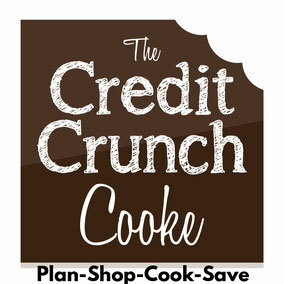 This uses my basic recipe with a couple of additions! 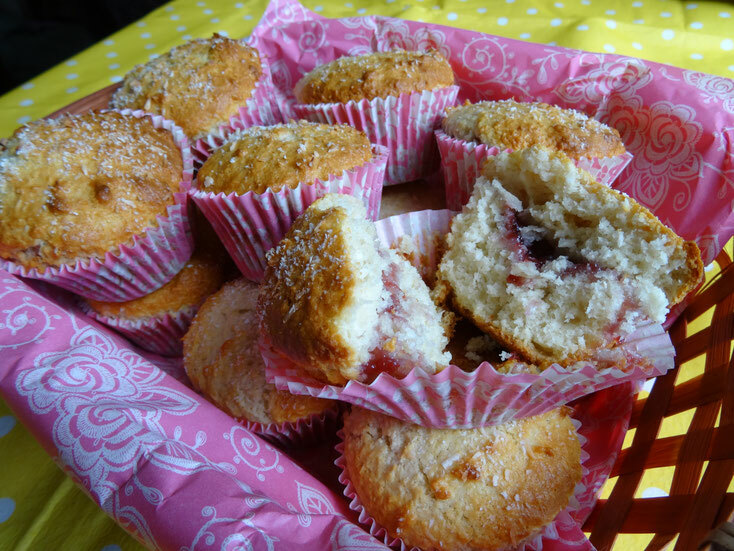 Lovely fluffy muffins with an oozy jam centre! 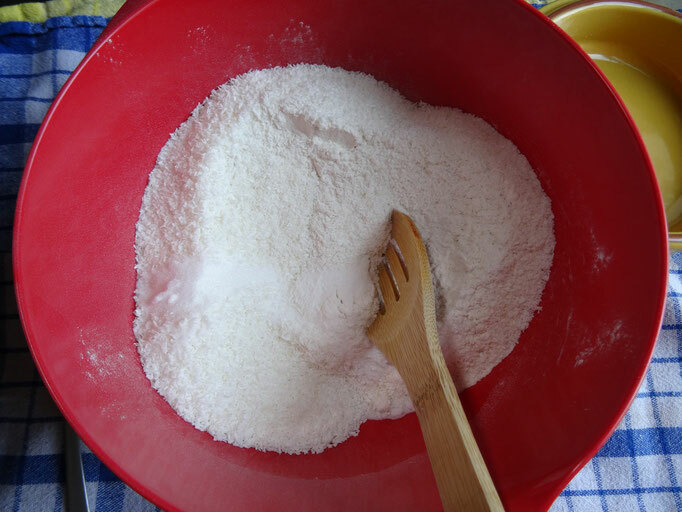 The combination of sharp raspberry works well with the coconut. Make sure you use seedless jam. Makes 12 muffins Approx 25p each. 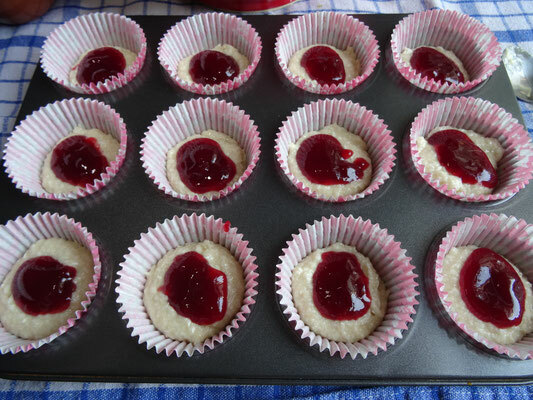 Pre-heat the oven to 180Fan/200C/Gas 6 & line a 12 hole muffin tin with paper cases. 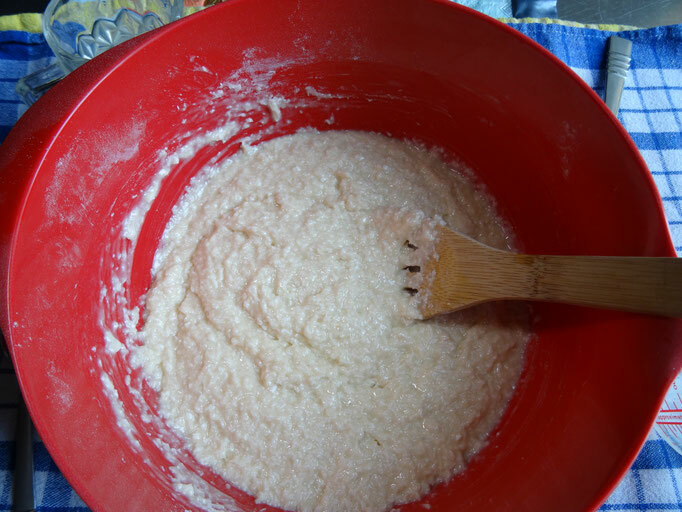 Place all the dry ingredients into a large mixing bowl & combine. 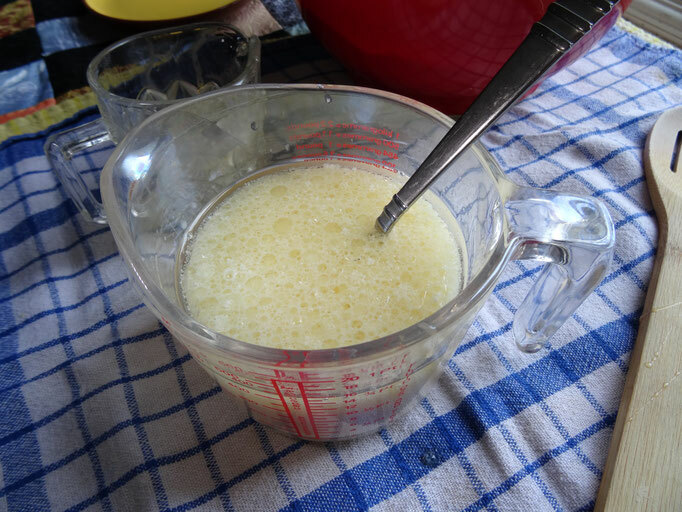 Place the oil, milk, eggs & vanilla into a jug & mix together. Make a well in the centre of the dry ingredients & pour in the wet. 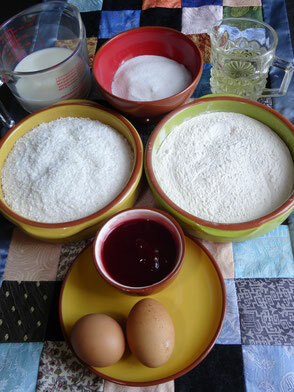 Mix thoroughly to combine but be careful not to over mix as the muffins will be tough. Using an ice cream scoop or a teaspoon fill the cases with muffin mixture about 1/3 of the way up. 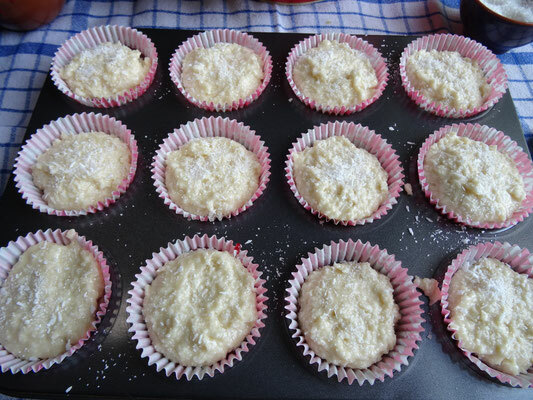 Top each one with the rest of the muffin mixture & sprinkle over a little extra coconut. Bake for 15 minutes until risen & golden. Turn out on a wire rack & allow to cool. Lovely served slightly warm but be careful of hot jam! !